Oh my! What a week it’s been! First, there was entertainment for our block dinner to organize. Brainstorming about a unique format, fielding calls from parents eager for their kids to perform, trying to come up with good prizes, getting together all the props for the games…that was a breeze, wasn’t it? Of course, it went off great! The kids had a blast dancing away on stage, everyone pitched in good-naturedly to play the games, and we (a fellow resident and I) could put up our feet happily at the end of it all. The biggest surprise package? Lil D, who had the role of MC suddenly thrust upon her, and I am truly proud to say that she did a whopping top job of it! It didn’t help that the very next day was Lil D’s birthday party. A theme party, the theme being Harry Potter. Oh yes, the girls are truly, madly, and deeply into HP! So there were wands and badges to make, classes to arrange, and the Triwizard tournament to prep for. No easy task this, and I sleep-walked through it all. The Triwizard tournament saw them defending a fancy Russian egg from the other teams (the old dog-and-the-bone game, actually), rescuing a stuffed toy blindfolded (with confusing instructions being yelled out by members of all teams all together – oh the cacaphony!! ), and doing a Word maze. The Word Maze, I am rather thrilled to say, was an invention of my own. It was a grid like a word-search, except that there was an entire continuous sentence hidden in there, which got one from one end of the maze to the other. They fumbled initially, but Lil D *astounded* me with the speed with which she cracked this! I really hadn’t expected that, but it was a fitting finale, you must agree. Gryffindor won, naturally. Well, that was that, I thought, and settled down to some well deserved rest. But the universe had other plans. I received a call from a student of one of the top engineering colleges in the city, requesting me to judge a creative writing contest! Well, you know me. Just jumped up and off I went. If I ever meet you in person, remind me to tell you about the most hilarious incident that happened en-route. I dare not put that down for posterity, for fear it will jinx me in some way or another. 🙂 But suffice it to say that I arrived at the venue in literally good humour! What a lovely afternoon it was. And how lucky I was to get to read some really good writing. The first prize was a winner all the way. The second prize was beautifully lyrical. All in all, it was an experience worth having. I’m so glad I put aside all my inhibitions and agreed for once. Well, apart from missing the cricket matches, and the budgets, and the cycling marathon, and every other thing, I’ve been doing pretty well. While I’m in this ranting mood, let me get this off my chest as well. When I heard this, I couldn’t help remarking aloud: Only moms? No dads? Lil D shot me a quizzical look. I persisted: Why couldn’t they show a dad pouring out Bournvita for his kid? I continued: Look at your dad. He’s always behind you to eat right, to eat nuts, to take your vitamins. If anyone ought to pour out Bournvita for you, it’s him! So why not on the ad? Lil D shook her head in resignation. It’s true, I pour out the Bournvita for her in our house. But the parent who’s really worried all the time about her health and fitness, who’s on her case to develop good nutritional habits, who goes that extra mile to ensure she’s doing well, is her dad. So, it would be nice to see an ad that showed dads caring for their kids too (instead of kids worrying about their dad’s health, like Quaker Oats and Fortune Rice Bran oil!). Standing in a queue at the cash counter of a reputed book store, I did a double-take. Rows and rows of a popular chocolate lined the sides, but they looked different. They were different. Oh God, NO! was my first reaction. 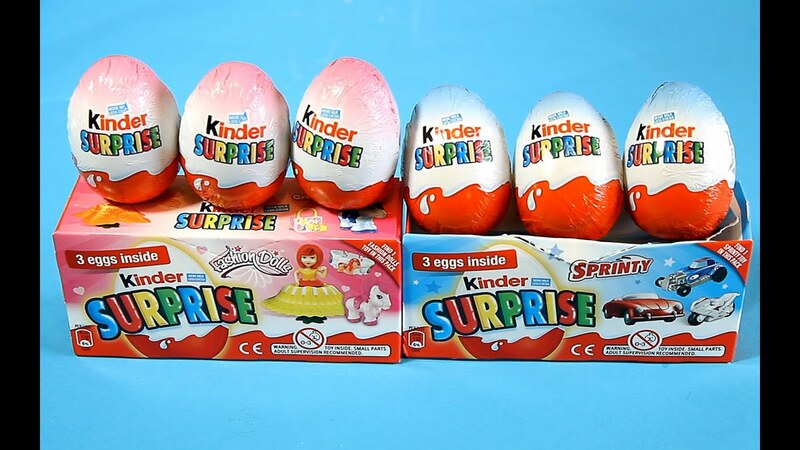 Et tu, Kinder Joy? One of the funnest chocolates ever, and now they go and do this? Lil D wanted to buy a Blue one, just to see what was in it. I bought it for her, and after putting the little toy together, it turned out to be a kind of game. Why do they have these silly girl and boy things, I fumed. Don’t you enjoy this stuff? Why assume girls will not enjoy this or boys will not enjoy that? Lil D, in her own little wise way, put things in persepective for me. Girls won’t mind if they get this, mamma, but what about boys? How will they feel if they get a bracelet or something? That got me thinking. We encourage our girls to do everything that boys do, but do the boys get the same encouragement if they tap into their “feminine” side? Or are they mocked or berated for acting “like a girl”? Somehow, I suspect the latter. Still, I feel Kinder Joy should have stuck to being gender neutral. Chocolate is enjoyed by one and all. And that’s how it should remain, don’t you agree? After the madness last year, I had decided I was not going to do this any more. Lil D herself, a little more introspective this time, decided that she would like to spend her birthday by arranging for lunch at some orphanage, and the rest of the time with her cousins. I was fine with it, feeling quite glad of the sensible choices she had made. However, this little voice in my head insisted that I do something else to make the day special for her. I didn’t really want to go overboard and do something exotic, but kept wondering if there wasn’t something small I could do to make her day more memorable. Her building friends would anyway come over in the evening to wish her, and we would have to cut a cake. A few desultory attempts at thinking of games to play by the two of us ended up unsuccessful. We kind of gave up and decided we would just play it by ear when the friends came over. That afternoon however, I had a brainwave. One of our favourite TV shows is The Amazing Race. How about making the kids play that? But how would I simulate the dash across continents, the challenges? My mind began racing and soon I came up with an outline. It didn’t involve much except quite a bit of printing. Luckily, Lil D had gone out, so I was able to wrap up everything before she returned. The kids (paired into teams) were given a sheet that had a list of “flights”. Just the From and To cities actually. They had to use this to get to their destination using the shortest route. A huge world map was available if they needed to check where the cities were. Once they told me the correct route to the destination, they had “arrived”. They were given a puzzle to solve. If they solved it correctly, they were given the next destination, and they had to come up with the correct route to that. And so on. So they started in India, and had to unscramble 10 Indian famous people/things. Then they “flew” from Bangalore to Sydney, where they had to identify all Australian things in a Word search. Their next destination was Beijing. Here they had to decode a Chinese saying using a Chinese-English decoder. Off they went to Johannesburg then, and were met with a Crossword of African animals. Then they flew to London, where they had to solve two easy-peasy English language riddles (the ones that go “My first is in this but not in that”). And then they carried on to New York, where they went shopping! I gave them each 20 bucks, asked them to go to the little store we have within the apartment complex, and shop for the most number of things they could get within this budget. They had the most fun doing this! Luckily it was a Sunday, so the store was quite empty, except for these crazy girls dashing around. Finally, they returned to Bangalore. Everything was off the internet, so preparation was very easy. I loved how it all fell into place so quickly and that it worked out so well. It’s a lovely summer evening. The breeze is brisk and cooling, toning down the intense heat a little. You go down for your regular evening walk-and-talk routine with your friends, and as you try to locate them, you are stopped by a group of moms. We’d like to tell you something about your daughter, they say. And then the adjectives come tumbling out. Awesome, helpful, such presence of mind, so well-behaved, so good with children… You listen, rather bemused. Your heart is not exactly swelling with pride because this is, you know, how it always was. Your little girl has always been like this. The overt acknowledgements are, however, so welcome in this day and age when disgruntled complaints are the order of the day. You feel happy that they have taken the time to acknowledge and appreciate. You thank them, and then you add, very clearly – this has nothing to do with me, this is how she is, this is her innate nature. They dismiss this with a shake of their heads. Clearly the parents are to take credit for this darling. But no parent can really teach a child to have empathy, to have an overflowing love for children, to have presence of mind. It comes from somewhere deep within. This is my little darling all on her own. We don’t deserve credit for that. What we have simply done is to let her be. For that, I don’t mind taking the credit. When I told Lil D about the profuse compliments, she was shy. I hugged her and said: I am proud of you. You are a good human being, and this is what we would like you to be. This is more precious than anything else. It was when I told her this that my eyes welled up. My Lil D is no longer little; her shoulders are squaring up to take over the burdens of the world. Here’s wishing that she spreads happiness always. If there’s one thing I’ve learnt in my stint at parenthood, it’s that there is NO “ONE RIGHT WAY”. Popular books and blogs and articles can dole out all the advice they want, and they are all right, in their own way. However, the best way to parent, according to me, is to LISTEN to your child. Especially during the early years, if you are intimately involved with your child, you will learn what your child needs and doesn’t. Just like you learn to recognize when the baby is hungry or wet, similarly you learn to recognize signs from your child. It is really upto you to come up with the solution then. There are no hard and fast rules, and there is no answer book. So a lot really depends on the kind of parent you are. If you look upon your child like a time-bound project (and I know so many parents who do that, perhaps unconsciously), I can guarantee you failure. A child is definitely not something you can wrap up and forget about, it’s an ongoing project and what makes it so interesting and complex is that the child is also changing all the time. So the feedback loop is ever active and you must constantly monitor the system, so to speak. To give you some examples of what I did with Lil D, I put her into a small playschool within the apartment complex when she was just 1.5 years old. To some parents, this will appear downright criminal! That child ought to be indulging in free play instead of being cooped up in a room, they might think. However, the reason was simply this. Lil D was a very social child right from the time she turned one year. She loved company, she was thrilled going to new places, and she sought new stimuli constantly. She was showing signs of boredom both at home and in the playground. She had explored and satisfied her curiosity in every nook and corner, and was now craving for something more. I found this cosy little playschool the ideal place for her. She got to make new friends, she loved doing various activities with the aunty there, and hated to leave the place. Once she was old enough to play with her friends, I removed her from all courses, except the ones she was really interested in. And I’m glad to say that she’s stuck to those ones and still continues to go to them voluntarily. I feel she learnt far more about life by playing with friends rather than by going to the innumerable courses that others her age were attending. Later on, I moved her from a Montessori school to a regular school. This was not for academic reasons as one might think. In a Montessori school, kids are generally given a free run. This boosts their confidence and independent thinking and works wonders for shy kids. However, Lil D had more than her fair share of confidence and independent thinking! 🙂 What I realized was that she needed a sense of discipline too. Discipline (self-imposed, that is) is an essential life-skill if one wants to achieve something. In the do-whatever-you-want atmosphere of the Montessori school, this was not going to be easily assimilated. I know a lot depends on the Montessori school and this one was a good school, but I preferred a school that gave her exposure to the “system”, so to speak. We were, after all, not going to move out of India, so I preferred that she learnt to handle the existing system in a good way, rather than be thrust into it suddenly later. So we moved her to a regular school, and I have not regretted that decision one bit. I don’t know about the path not taken, obviously. I can’t say I’ve done everything right and this is the way to go about it. But what I do know is that every time we have stopped to LISTEN to her needs, we have come up with the right answers (or at least the right one in our opinion). And that is probably my only rule for parenting. It’s wonderful that Lil D is absolutely nothing like me. It’s been a great education on a very different perspective of life. There are so many things I have learnt to view differently, and I must thank Lil D for that. One of these things is nail art. I have never been inclined to grow or paint my fingernails. The few times I did it, I felt all irritated and crotchety till I had them unvarnished and short as usual. It became a non-issue for me, though I did get turned off by the ultra-long painted claws on some folks. Lil D is fond of art. She is fond of drawing anywhere and everywhere, and while we have finally reached an agreement on the walls and cupboards of our house, the same cannot be said of her body! 😀 She loves mehendi (another thing I just could not stand, but appreciate nowadays) and all long school holidays commence with her getting her palms and hands decorated with the richly intricate designs outside the several Marwari shops that have suddenly dotted the landscape. If I got bored in class, I would doodle in my notebook. Lil D comes back with various doodles on her wrists and palms. She loves temporary tattoos and chooses really cool ones. You get the picture, right? The first time I was really startled by her nail art was when she decided to paint each nail a different colour. She must have been six or so. To my staid mind, this was such a crazy idea, but I stopped myself from restricting her. What was the problem if she had some fun? That was just the beginning. Her nails have become a miniature canvas for her. She has tried half and half colours, three colours, two colours with little white dots, another time with white streaks…the combos and designs are endless. I can understand the fascination, I love the creativity, and I always look forward to what she will come up with next. To turn from someone who hated painted nails to someone who admires the art in it (on other folks, that is :D), it’s certainly been quite a journey for me.